Article 15 deals with access to genetic resources and benefit-sharing. Access is to be provided in exchange for a share of the benefits derived from using the resources. Governments have the authority to determine access, subject to prior informed consent, and based on mutually agreed terms. encourage the equitable sharing of benefits from the use of such knowledge. protect and encourage customary use of biological resources in accordance with traditional cultural practices that are compatible with conservation or sustainable use. Article 17.2 deals with promoting exchange of information, including indigenous and traditional knowledge and provides for the repatriation or return of information important to indigenous or local communities and relevant for conserving biodiversity. The CBD Working Group for implementing Article 8(j) provides an important forum for voicing indigenous perspectives. It has emphasised the link between maintaining traditional knowledge and: continued stewardship of traditional lands and waters by indigenous communities; the customary use of biodiversity; and the right of indigenous and local communities to require free prior and informed consent. The working group has developed important international policy guidance which reflects the need to protect biocultural heritage as a whole (see below). Indigenous peoples can participate actively in the working group, which also has an indigenous ‘friend of the chair’ (an informal co-chair). The Working Group on Article 8(j) has developed guidance for Parties and governments for developing sui generis systems to protect traditional knowledge, which was endorsed by 10th CBD Conference of the Parties in Nagoya. 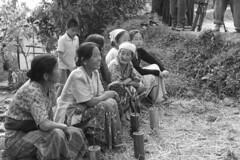 They define biocultural heritage as follows: “The knowledge, innovations and practices of Indigenous and local communities which are often collectively held and are inextricably linked to traditional resources and lands and waters traditionally occupied by indigenous and local communities; including the diversity of genes, varieties, species and ecosystems; cultural and spiritual values; and customary laws shaped within the socio-ecological context of communities” (CBD Secretariat, 2009). See: Elements of Sui Generis Systems for the Protection of Traditional Knowledge, Innovations and Practices. Elements of a Code of Ethical Conduct to ensure respect for the cultural and intellectual heritage of indigenous and local communities. The COP10 adopted the “Tkarihwaié:ri” Ethical Code and invited governments to use it to develop their own ethical codes of conduct for research, access to, use, exchange and management of traditional knowledge, innovations and practices. And the COP suggested government departments, academic and research institutions, private sector, extractive industries and forestry bodies promote awareness of the code and its adoption in their policies and processes. The Ethical Code provides a set of principles for engaging with indigenous and local communities. Prior informed consent should be obtained without coercion for any activities related to traditional knowledge on sacred sites and traditional lands and waters. There should be inter-cultural respect, including respect for spiritual values. Collective and individual ownership should be understood and respected. Benefit sharing should be fair and equitable within and amongst communities. Traditional land tenure must be recognised, as access to land and water and sacred sites is fundamental to the retention of traditional knowledge. Traditional resource rights and customary rules on access should be respected. Communities must not be arbitrarily removed or relocated. Where consent is granted, compensation must be given. Indigenous and local communities’ responsibility for managing their traditional lands and waters and sacred sites should be respected. Information should be repatriated to help recover traditional knowledge. Indigenous and local communities should be supported to actively participate, eg in research collaborations. See: The Tkarihwaié:ri Code of Ethical Conduct to Ensure Respect for the Cultural and Intellectual Heritage of Indigenous and Local Communities. The Akwe Kon Guidelines for assessing the cultural, social and environmental impacts of proposed developments on sacred sites and traditional lands and waters of indigenous and local communities, were formally adopted by CBD country Parties at the sixth Conference of the Parties in 2002. This means that 192 countries that have ratified the CBD have made a commitment to using these guidelines in addition to, or instead of, standard EIA procedures, for any developments proposed on indigenous community lands. Protecting traditional knowledge from the grassroots up. Swiderska et al (2009). IIED Briefing Paper. Banishing the biopirates: A new approach to protecting traditional knowledge. K. Swiderska (2006). IIED Gatekeeper 129. Submission by IIED and Partners to CBD Expert Group on Traditional Knowledge related to genetic resources. Hyderabad, June 2009.